Found 4 file extension associations related to Magix Music Studio and 4 file formats developed specifically for use with Magix Music Studio. 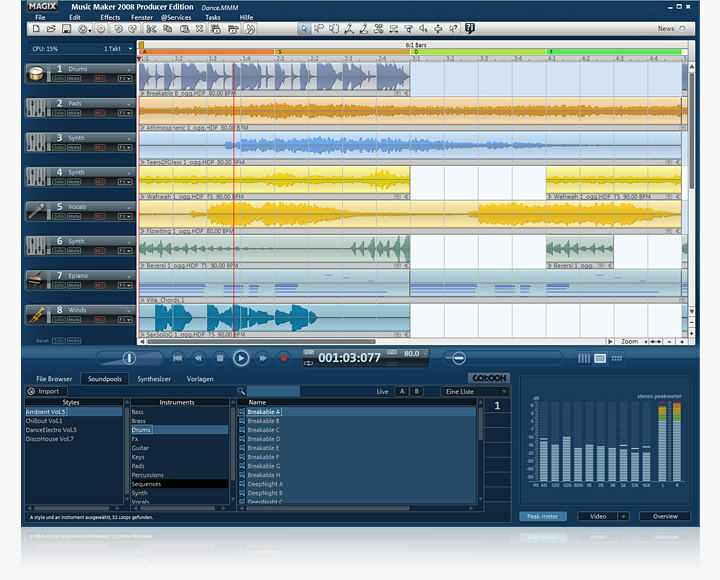 MAGIX Music Studio provides a wide range of functionality and full integration of audio and MIDI technology in one program. It now also comes with amazingly realistic instruments from the specialists for sample content, Yellow Tools, with whom a partnership has been forged. A new synthesizer for even more powerful analog bass and lead sounds, easy MIDI editing, integrated rewire functionality, improved effects and functions as well as the option of creating podcasts from personal recordings make this the complete package. Additionally, the toolbar and menu bar have been optimized. With MAGIX Music Studio professional home recording has never been quicker or easier. If you need more information please contact the developers of Magix Music Studio (MAGIX AG), or check out their product website.